Cusco is famous for Sacsayhuaman, Coricancha, Ollantaytambo and, above all, Machu Picchu. Of course, there are many other tourist attractions. Among them Pisac, Chinchero, Choquequirao, Maras, Moray and the Mountain of the 7 Colors. But had he heard of Piquillacta, Tres Cruces de Oro or the Putucusi mountain? 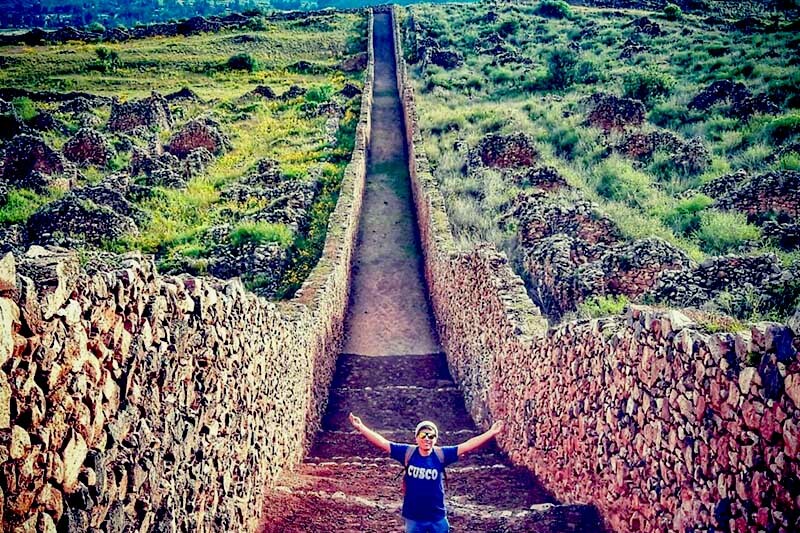 Meet the 10 best tourist attractions in Cusco that few knew. The Vilcanota mountain range, south of Cusco, is the scene of incredible natural attractions. The best known of all is the Mountain of the 7 Colors (5,200 meters above sea level). However, very few visitors know the so-called ‘Red Valley of Pitumarca’, a natural landscape located near there. The slopes and summits of this site are dyed red due to a process of mineralization millions of years ago. Although the ‘Red Valley’ is a new attraction, it is estimated that it already receives 500 visitors a day. How to get? – From the city of Cusco, it is reached by a 3-hour trip to the town of Pitumarca. From there a walk for 2 or 3 hours to the Red Valley. How much? 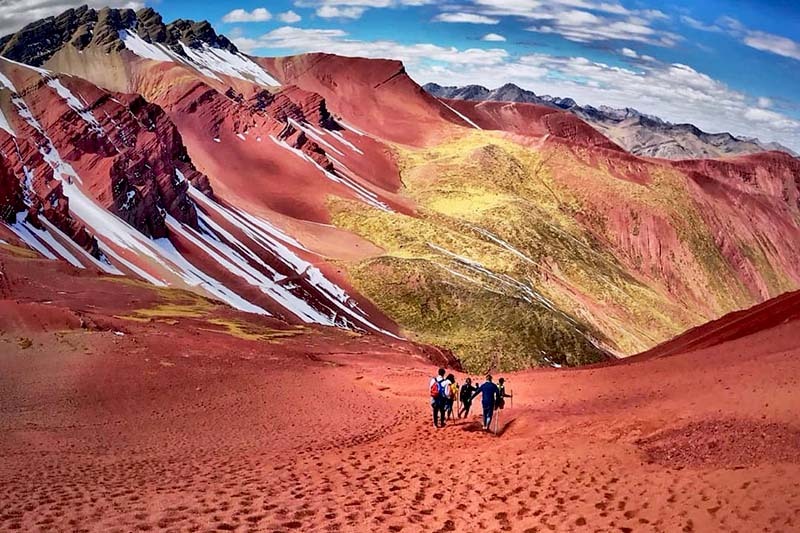 – The tours to the Red Valley include the visit to the Mountain of the 7 Colors. The approximate cost is 60 dollars. 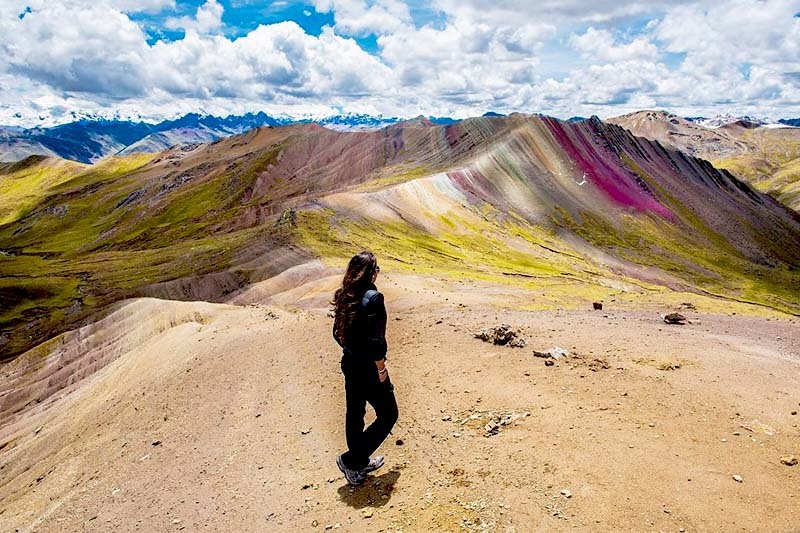 The Mountain of the 7 Colors of Palccoyo (4,900 msnm) is a summit dyed of several colors of form very similar to the Vinicunca. It is located a short distance from the snowy Ausangate. It is one of the new attractions of the Vilcanota mountain range. In Palcoyo, in addition, you can see a stone forest formed naturally. There are abundant llamas, alpacas, vizcachas, condors and other animals. Despite its beauty, there are still not many tourists who dare to visit it. How to get? – – From Cusco, you arrive with a 3-hour bus trip to the town of Checacupe. From there begins a walk of only 1 hour. How much? – The tours have an approximate price of 60 dollars. It is also possible to get there and pay an entrance ticket (10 Peruvian soles and 5 Peruvian soles). The most beautiful sunrise in the world is seen from the Tres Cruces de Oro viewpoint in Paucartambo (Cusco). The place is called ‘Akhanacu‘, also known as the ‘Balcony of the East’ because in the distance you can see Manu, in the jungle of Peru. This natural spectacle happens every morning, starting at 4.30 am The sky is dyed red, orange and its nuances. 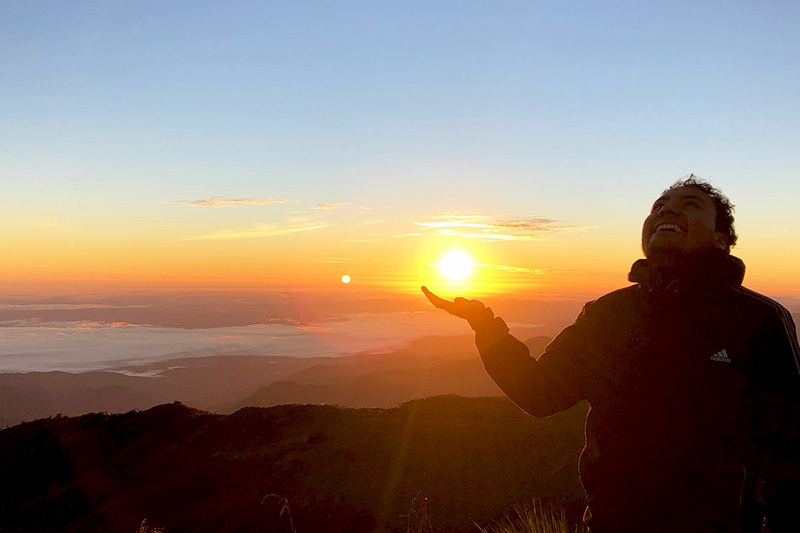 All the winter solstices (end of June), in Tres Cruces de Oro, the so-called ‘White Ray’ happens, an optical illusion that simulates three suns in the distance. How to get? – From Cusco you travel south by bus for 4 hours to the town of Paucartambo. From there you take a private transport to the viewpoint. How much? – The tours are for 2 days, cost $ 100 and include visits to other tourist sites in the region. If you are on your own, the entrance ticket costs 10 soles (3 dollars). The mountain Putucusi (2,560 masl) means in Quechua ‘Montaña Feliz’. Putucusi, belongs to the mountain chain that surrounds Machu Picchu. There is no known Inca construction but from its top you can appreciate the Wonder of the World at a distance. Climbing its slopes is an extreme adventure due to the difficult access of its roads. The most difficult section is a climb up a wooden staircase several meters high. Recently it was destroyed so access is temporarily not possible. How to get? – Access is on foot from the town of Aguas Calientes. Follow the train track until you deviate along a path that leads to Putucusi. How much? – Admission to this mountain is free. 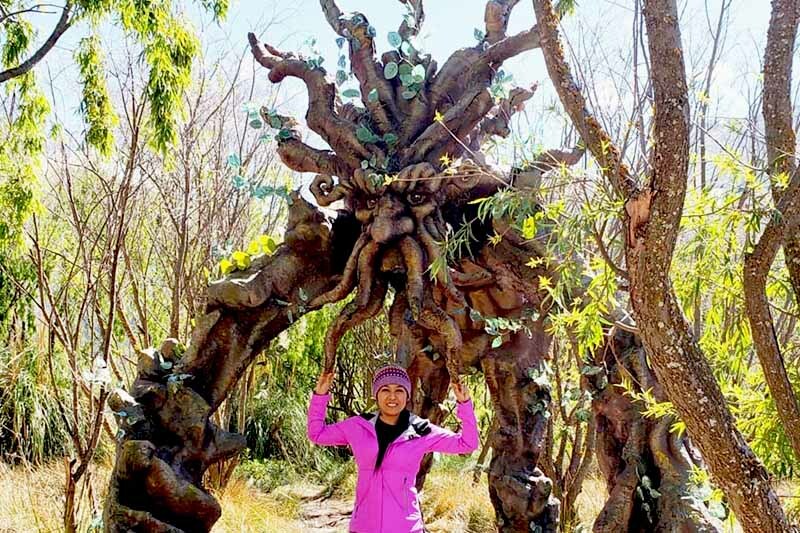 A few kilometers from Cusco there is a theme park where the characters of ‘Guardians of the Galaxy’ and ‘The Lord of the Rings’ were designed in wood. Huasao wetlands is a natural environment where one can be away from the city and enjoy nature. This attraction is located in the district of Oropesa. A short distance from there, there is a Jurassic park ideal to visit with the little ones. You can also enjoy the famous ‘Pan chuta’ and ‘Lechón al horno’. How to get? – From the city of Cusco, the buses are addressed to Oropesa on Avenida de la Cultura. The trip takes approximately 30 minutes. How much? – The entrance to Huasadal de Huasao is 1.50 soles (0.5 dollars) adult and 1 sun (0.3 dollars) children. Lares (3,150 masl) is famous for being an obligatory route of the ‘Lares Trek’, which leads to Machu Picchu after 4 days of walking. However, this district is also popular for housing the thermo-medicinal baths of Lares, a space for relaxation in the mountains. The thermo-medicinal baths of Lares have up to 4 pools with natural hot waters that vary from 36ºC. up to 44ºC. Its waters have relief and healing properties in diseases such as osteoporosis, arthritis and muscular problems. How to get? – Lares is 149 kilometers by road from the city of Cusco. You arrive with a trip to the town of Calca and from there another to Lares. How much? – The visit is part of the Lares Trek. If you want to enter on your own, the ticket costs 5 soles (1.5 dollars). The Humantay Lagoon (5,473 masl) is undoubtedly one of the most incredible landscapes in Cusco. 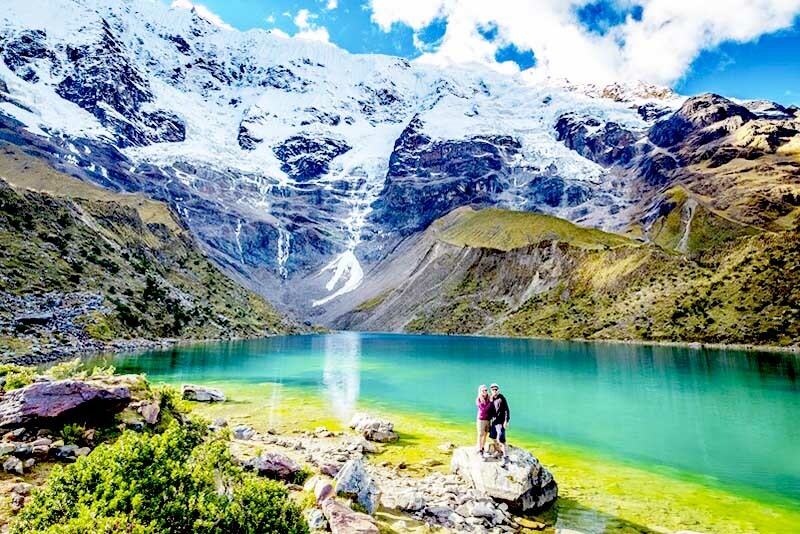 This natural tourist attraction is located at the foot of the mountain of the same name, on the way to the snowy Salkantay. It is a popular tourist attraction. 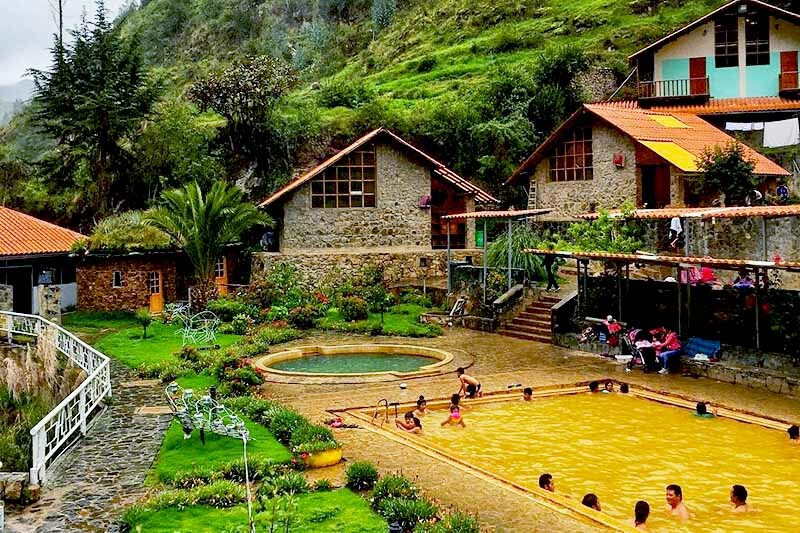 Visitors arriving at Machu Picchu through the alternative route through Hidroeléctrica have the option of relaxing in the thermal baths of Cocalmayo. 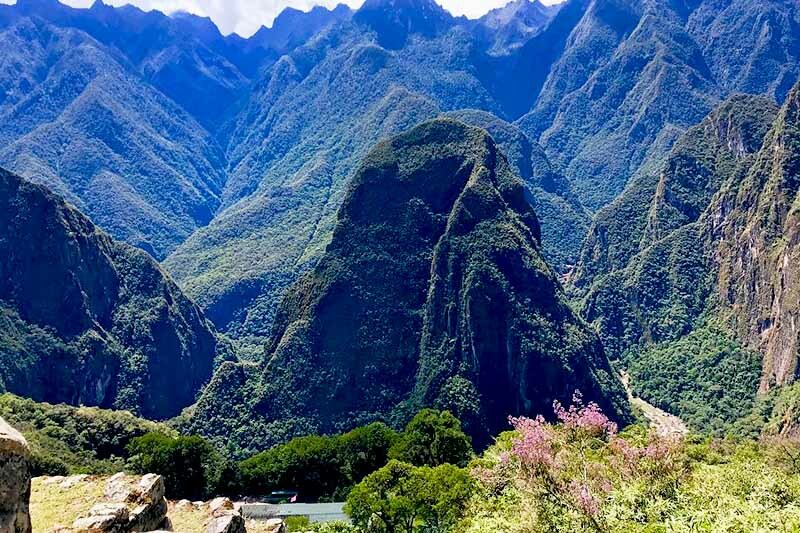 This natural attraction is located in the town of Santa Teresa, approximately 20 kilometers from Machu Picchu. 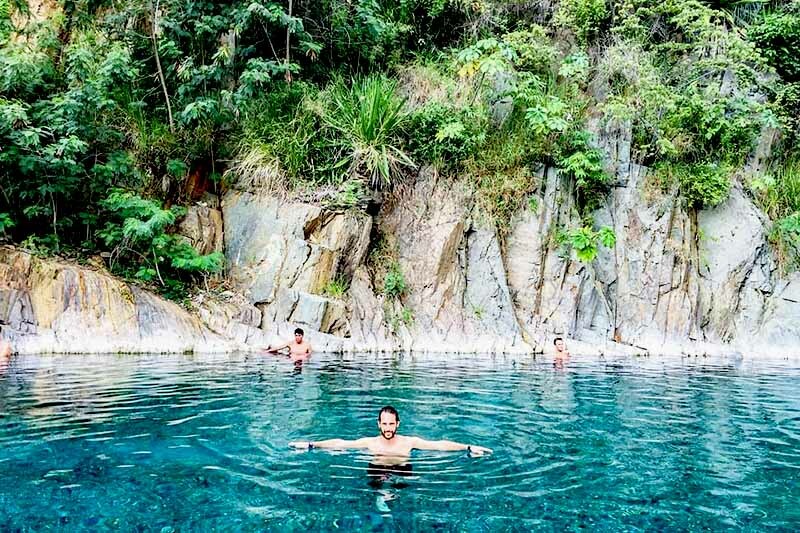 The thermal waters of Cocalmayo have up to 3 pools with temperatures from 38ºC. up to 44ºC. Its waters are clear and have healing and relaxing properties. Many tourists arrive there on their way to Machu Picchu in order to relax. How to get? – There are several ways to get to the thermal waters of Cocalmayo. The most usual is with a bus trip from Cusco to Santa Teresa (5 hours). How much? – Foreign tourists pay 10 soles (3 dollars). Peruvian tourists, 5 soles (1.5 dollars). Piquillacta (3,250 masl) is an archaeological complex built by the Wari culture in approximately 500 AD. The 50-hectare site contains up to 700 buildings as well as other buildings. It is estimated that there lived 10 thousand people (Machu Picchu inhabited a maximum of one thousand). Despite its majesty and historical importance, it is still not very popular with tourists. Piquillacta is the most important pre-Inca discovery in Cusco. How to get? – On your own, you take a bus that runs south of Cusco to Piquillacta. Tours include round trip transportation. How much? – Piquillacta is an attraction included in the tour to the South Valley of Cusco which includes Tipón and Andahuaylillas. The approximate cost of the tour is $ 40. 3 hours from the city of Cusco, in the town of Qhehue, survives the last Inca bridge called Q’eswachaka and declared Intangible Cultural Heritage by Unesco. This bridge made of ichu (ande grass) is approximately 500 years old. 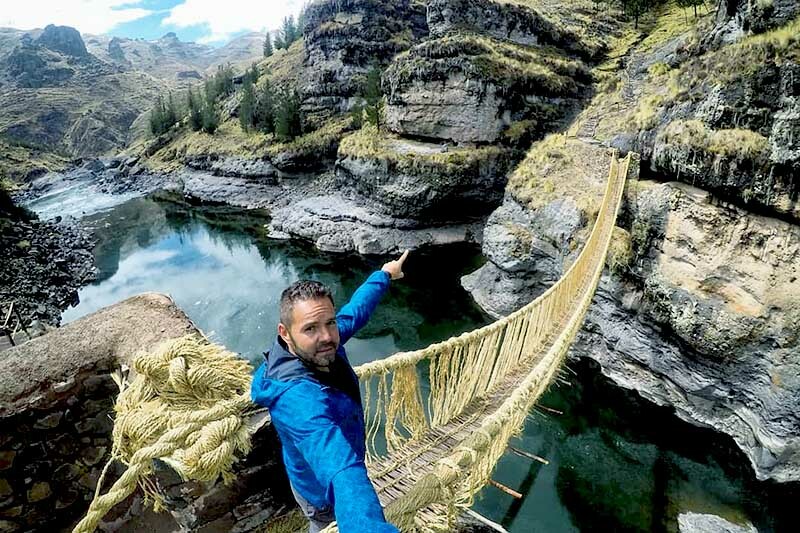 All the second weeks of June, the residents of the surrounding communities rebuild the bridge as their Inca ancestors did hundreds of years ago. Thus, after a 4-day ceremony, the old bridge is replaced by a new one. How to get? – From the city of Cusco, take a bus to the town of Combapata. Then other successive trips to the towns of Yanaoca and Quehue, where the bridge is. How much? – The 1 day tours have an approximate cost of 80 dollars. It is also possible to visit this site on your own.